With today's news of Italian side Parma FC declaring bankruptcy, I couldn't help but think of how wonderful the club was in the 1990's and early 2000's. In that short span Parma was able to capture the Coppa Italia title on three occasions, finish in a club record runner-up position in Serie A, win the UEFA Cup twice, and once win the European Cup Winners' Cup and European Super Cup. Now, the 101 year old club will have to restart its life in Serie D; the amateur level. 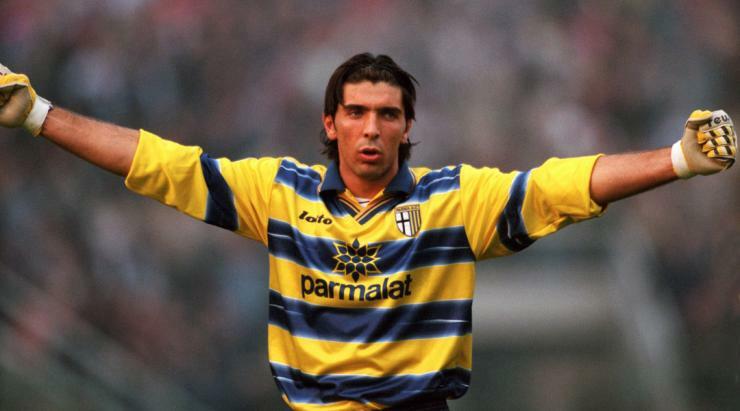 But instead of dwelling on the sad news I decided to celebrate the club's history a bit, taking a look at 5 incredible footballers that once wore the shirt of Parma Football Club. 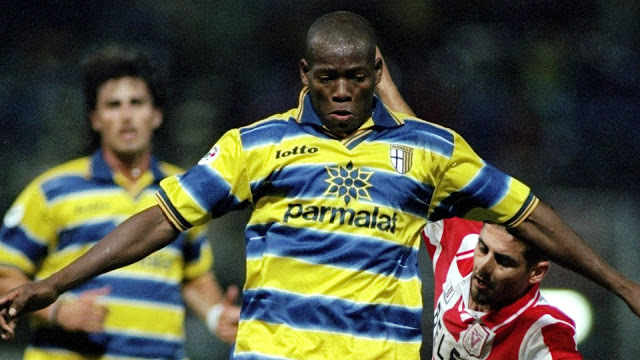 Colombian forward Faustino Asprilla played in over 100 matches for Parma FC in his two stints at the club. In 1992 Parma became Asprilla's first club outside of Colombia when they outbid other Italian clubs to sign him from Colombian side Atlético Nacional for almost $11 million. After leaving for England in 1996 and spending two seasons with Newcastle United, Asprilla returned to Parma for another year. 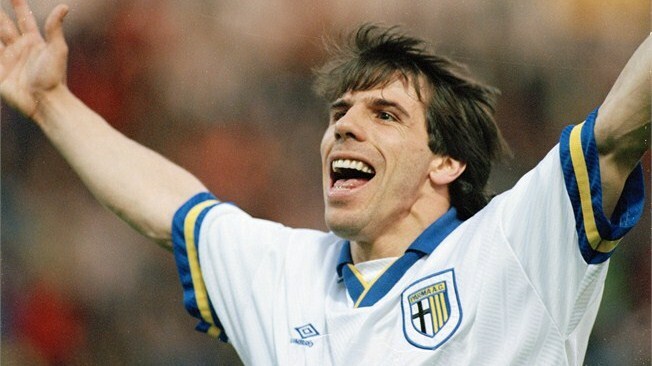 Italian international Zola was part of Parma FC between 1993 and 1996, scoring 49 times in 102 appearances for the club before signing for London club Chelsea FC. The face of the 2006 World Cup winning Italy national team, star center-back Fabio Cannavaro spent a good majority of his career with Parma. A member of the club between 1995 and 2002, Cannavaro made over 200 appearances for the club before moving on to Inter, Juventus and Real Madrid. A fact that still manages to surprise football fans around the world; Parma FC was Gianluigi Buffon's first professional club. 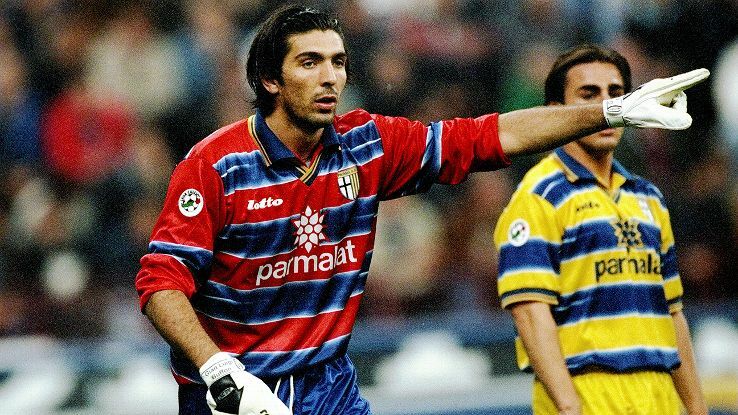 Coming up the ranks from its youth side, "Gigi" put in just under 200 appearances for Parma before moving on to Juventus where he became a legend between the posts. Argentine striker Hernán Crespo was signed by Parma in 1996 from his native and first professional club River Plate. In his five years with the club, Crespo made over 100 appearances, scoring 62 goals, averaging more than half a goal per game. 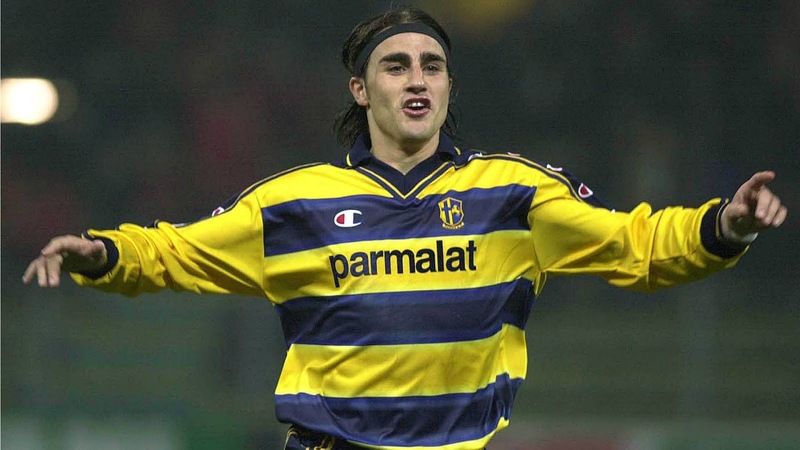 Crespo's career would take him to various other clubs, but the Argentine returned to Parma once more in 2010 and retired from football in 2012 with Parma FC officially being the last professional club he had played for.